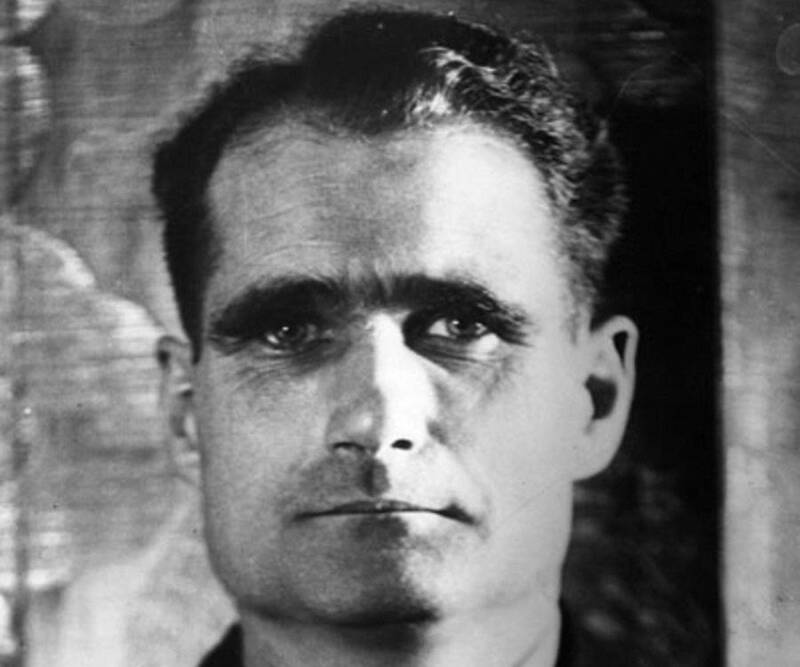 Rudolf Hess was the Deputy Führer to Adolf Hitler and the third most important politician in Nazi Germany after Hitler and Hermann Göring. Check out this biography to know about her childhood, life, achievements, works & timeline. Rudolf Hess was the Deputy Führer to Adolf Hitler and the third most important politician in Nazi Germany after Hitler and Hermann Göring. He was an un-ambitious man who exhibited unparalleled loyalty to Hitler. 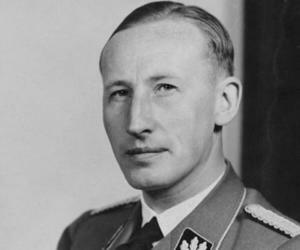 After participating in World War I, he joined the Nazi party in 1920 and became a close associate of Hitler. He served as Hitler’s private secretary for nine years and was often rewarded by the Führer for his persistent loyalty. However, he lacked the ability to take independent actions and hence, never got to exercise influence in matters of the state. Over time, he was destabilized by other Nazi officers vying for personal power. He gradually lost his coveted position to his assistant and eventual successor, Martin Bormann. Hoping to regain importance in the eyes of his Führer, in 1941 he flew a fighter plane alone towards Scotland on a 'peace' mission, just before the Nazi invasion of the Soviet Union. He wanted to prevent Germany from a two-front war with the Soviets and Britain. His mission was short lived; after he landed, he was imprisoned by the British who concluded he was partially mad because of his frequent spells of disorientation, amnesia and paranoia. Even Hitler disowned him, struggling hard to explain his action. However, even in the face of trouble, Hess remained true to his Führer. After the war was over, he was tried at Nuremberg and sentenced to life imprisonment at Spandau, Berlin. Following repeated suicide attempts, he finally passed away at the age of 93 in 1987. Rudolf Hess, the eldest of three children, was born on April 26, 1894 in Alexandria, Egypt. His father Fritz H. Hess was of German origin and his mother Clara Hess was of Greek descent. Fritz Hess was a successful merchant and owner of Hess & Co. The family was well to do and lived in a beautiful house on the Mediterranean coast. They also had a home in Reicholdsgrün, Bavaria to enjoy their summer holidays. Growing up in Alexandria, Rudolf studied in a German language Protestant school from 1900–1908. 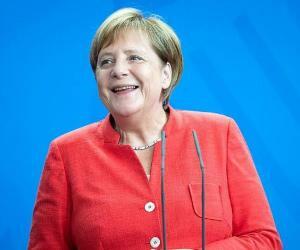 Soon after, the family relocated to Germany and he enrolled in a Protestant boarding school in Bad Godesberg. In 1911, he was sent to study business for a year at the Ecole Supérieure de Commerce, Switzerland, to fulfil his father’s dream of join the family business. He also undertook an apprenticeship at a trading company in Hamburg. However, he was unwilling to join the family enterprise and to escape the situation he volunteered to join the German army at the outbreak of World War One in 1914. Soon after, he was enlisted in the 1st Bavarian Field Artillery Regiment. He was a part of the First Battle of Ypres. As an infantryman, he was awarded the Iron Cross, second class and was promoted to the rank of Gefreiter (corporal) in April 1915. During the war, he was injured multiple number of times. He served in the Battle of Verdun and was injured in June 1916. Next year in Romania, he was hit by a shell splinter on the left arm, and a bullet wound that injured his chest and lung. The severity of the second wound prevented his return to the front lines. Fond of flying, he underwent l training at the Imperial Air Corps and became a fighter pilot in 35th Jagdstaffel towards the end of the war. Before being discharged from the duty in December 1918, he had reached the rank of lieutenant. After the war, his family fortune was in trouble and he joined the right-wing Freikorps group which engaged in violent conflicts with the leftist forces to overpower them in Germany. He enrolled in the University of Munich in 1919 to study history and economics. It was here that he joined the anti-Semitic rightist group Thule Society, upholder of Nordic supremacy. He was also influenced by his professor Karl Haushofer, a former general and advocate of the concept of Lebensraum (increased ‘living space’ for Germans at the cost of other countries). He also became friends with his son Albrecht, a social theorist and lecturer. Rudolf Hess joined the National Socialist German Workers' Party (NSDAP) in July 1920 after hearing the powerful orator, Adolf Hitler, in Munich. He was deeply influenced by him and became the party’s sixteenth member. 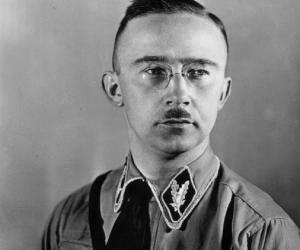 He was completely devoted to Hitler and focused his attention on fundraising and organisational activities of the party. He even got injured protecting Hitler from a bomb blast in 1921. The following year, he joined the Sturmabteilung (SA) and helped in recruitment activities of members. 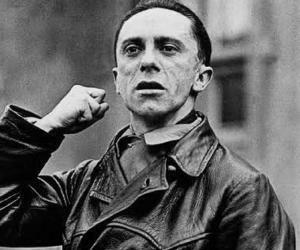 In 1923, he was imprisoned along with Hitler at Landsberg prison for attempting a revolution to seize control of Germany (later named as ‘Beer Hall Putsch’). The NSDAP and SA were both banned during this period. While in prison, he took dictation along with Emil Maurice for Hitler's best-seller book, ‘Mein Kampf’, and also suggested editorial changes. After they were released in 1925 and the ban on NSDAP and SA nullified, the party strength multiplied manifold. From April 1925 onwards, he worked as Hitler's private secretary at a monthly remuneration of 500 Reichsmarks. He was later appointed personal adjutant in July 1929. In 1932, Hitler rewarded him for his loyal service by appointing him the Central Political Commissioner and SS General. By 1933, the Nazi party had seized power; Hitler was appointed Reich Chancellor and Hess, Deputy Führer—a figurehead position with mostly ceremonial duties. 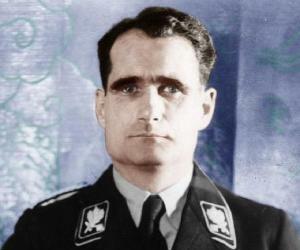 Later in 1933, Rudolf Hess was also appointed Reich Cabinet Minister without Portfolio. Based out of offices in Munich and Berlin, he was accountable for departments like foreign affairs, finance, health, education and law. He often wrote and co-signed many of Hitler's decrees. One of his most visible tasks was to introduce the Führer at mass meetings. He also gave frequent speeches over radio which were compiled in a book form later in 1938. He was empowered to punish people who were enemies of the party and take "merciless action" against them if required. In 1934, Hess rose to the rank of Obergruppenführer, the second-highest SS rank. His office was somewhat to blame for drawing up the notorious Nuremberg Laws of 1935 that had fatal repercussions for the Jews of Germany. In 1939, he was even selected to be Hitler's successor, second in line after Hermann Göring. Gradually, Hitler got preoccupied with World War II and Hess lost his proximity to the Führer. By then, Hess’s former secretary Martin Bormann had already usurped his position at Hitler's side. In an endeavor to regain the Führer’s attention, he attempted to save Germany from facing war on two fronts, the Soviets on the east and Britain and its allies in the west. He wanted to negotiate the British Government into submission and cooperation. An experienced pilot, he decided to fly alone to Scotland on May 10, 1941on his 'peace' mission just before the Nazi invasion of the Soviet Union. He intended to see the Duke of Hamilton, who he believed could help his cause. He flew for five hours across the North Sea on Messerschmitt ME-110 and navigated within 30 miles of the Duke's residence near Glasgow. However, at 6000 feet he had to parachute out and landed safely to the ground. He was arrested soon after landing. During interrogation by the British Army, he proposed that the British accept his generous peace offer and avoid the wrath of Hitler by allowing Nazi Germany to dictate over Europe. While captive, he appeared mentally instable and inconsistent. Seeing his behaviour, the British concluded that he was partially mad. Churchill was furious with his threats and got him imprisoned as a POW. On the other hand, feeling betrayed by Hess’s impulsive decision, Hitler disowned him i. Hitler and the Nazis had to suffer huge embarrassment trying to explain his actions. As a British prisoner, he continued to exhibit erratic mannerisms and became paranoid about his food. After the war was over in 1945, he was returned to Germany to face trial at Nuremberg. In 1923, while imprisoned in Landsberg along with Hitler, he took dictation for Hitler's best-seller book ‘Mein Kampf’. He also suggested editorial changes. His unwavering dedication won him Hitler’s private secretary position in April 1925, a post he held on with pride till 1933, when he was appointed Deputy Führer. In 1941, during World War II, he flew solo to Scotland on a German fighter plane to negotiate peace with the British in an attempt to prevent Germany from facing war from the Soviet Union and Britain at the same time. In 1915, during World War I, he was awarded the Iron Cross, second class, and promoted to the Gefreiter (corporal) position. He also received the Bavarian Military Merit Cross after additional training. He met fellow student Ilse Pröhl at the University of Munich in April 1920. They married in 1927 and their son Wolf Rüdiger Hess was born in 1937. He enjoyed music, reading, hiking and climbing the mountains with his wife. He did not seek power or wealth and only desired to remain dutiful to Hitler. He lived in a simple house in Munich and was popular with the masses. Alike Hitler, he was a vegetarian, teetotaller and non-smoker. Under British imprisonment, he suffered from hypochondria and believed he had multiple organ ailments. During the Nuremberg trial, he frequently suffered from disorientation and amnesia. At other times, he remained loyal to Hitler. In spite of his unsteady mental condition, he was sentenced to life imprisonment at Spandau prison in Berlin. After several failed attempts, he committed suicide on August 17, 1987 at the age of 93. He was buried in Wunsiedel, Bavaria and his grave gradually became a neo-Nazi pilgrimage site. To prevent this, in 2011 his body was cremated and his ashes scattered in an unidentified lake. Rudolf Hess had initiated the concept of ‘Lebensraum’ to Hitler and it later became the foundation stone of Nazi ideology.